Textured brown jumper fabric cable is part of our comfy laid-back range of tactile cables. It’s perfect for adding subtle texture to soften an industrial theme. Our fabric cable is priced per metre and multiple units will be sent to you in one length. 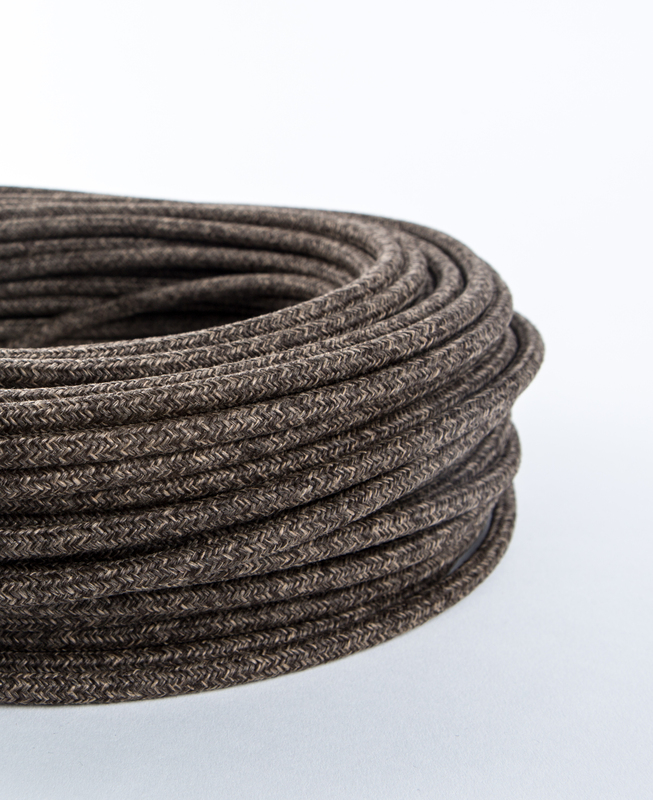 Our textured old brown jumper fabric cable for lighting looks just like it’s been made from an unravelled jumper. Hence its name, old brown jumper. 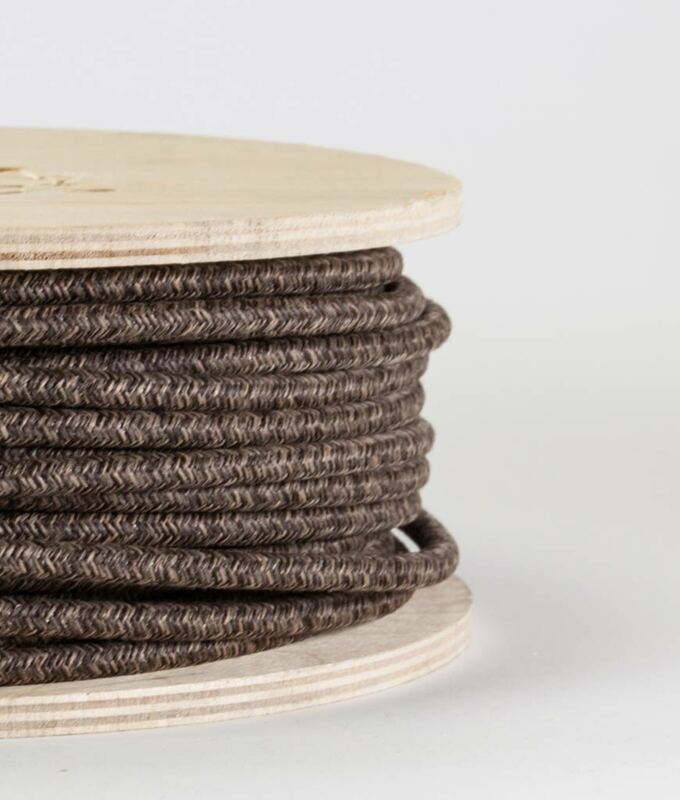 Use this textured brown cable in any up-cycled interior – it’ll fit in beautifully. Despite it’s tactile, Eco-friendly looking nature, we think this fabric covered flex actually looks at its best contrasted with our more contemporary metal hardware fixtures such as polished copper, chrome and fool’s gold. We just love contrast and contradiction, though. Old brown jumper looks amazing with our white porcelain range of lighting hardware – pick up a matching white bulb holder and ceiling rose then add a gorgeous vintage light bulb for a bare bulb light you’ll love forever. Perfect for your laid back industrial style bedroom.